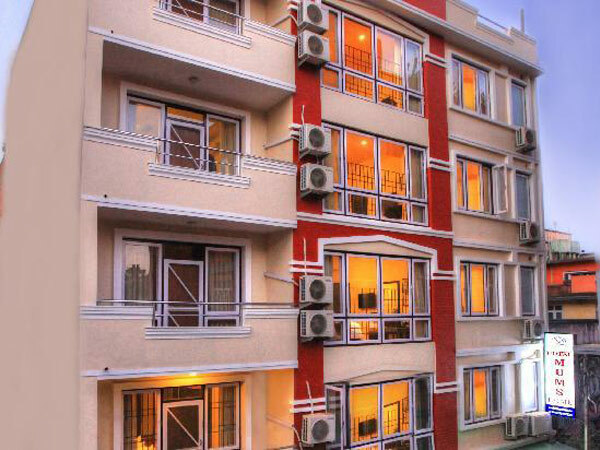 Hotel Mums Home, a newly opened hotel in Thamel, makes you feel refreshed, reinvigorated and renewed in its brand new modern facilities and fine services delivered with special hospitality customs of Nepalese culture. If you want all modern amenities and prompt services in a hotel in Kathmandu with the native, wholesome feeling of being in Nepal, we offer you unbeatable choice. We are involved in the field of tourism for decades and know that the kind of hotel you stay can make or break your entire holiday. Just leave that concern for us. We have well-kept and well-maintained 20 good rooms in which you will have a memorable stay. Our motto is to provide personalized care for our guests and make them feel that intimacy and warmth found in deep family relations. We are different from huge, impersonal settings where you end up as a mere client. But that does not mean that we lack any of the modern amenities you can expect in places like us -- from attached bathroom, running hot and cold water, air conditioned rooms, telephone, television, restaurant to Wi-Fi internet and the like. Hotel Mums Home was officially opened in mid 2013, and an aura of newness and freshness runs through every aspect of our facilities and services. We are committed to keep that spirit forever and want our guests to feel that spirit. As our name indicates, our goal is to give you the mum's care -- deeply personal, soothing and caring. After you stay with us, you will discover that the solution to your hotel is not just that many-starred, flashy, and expensive one where almost everyone drops into. We give a good value for your money-- good care, good facilities, and natural warmth in our relation with us. We want you to remember our hotel long after you leave us.